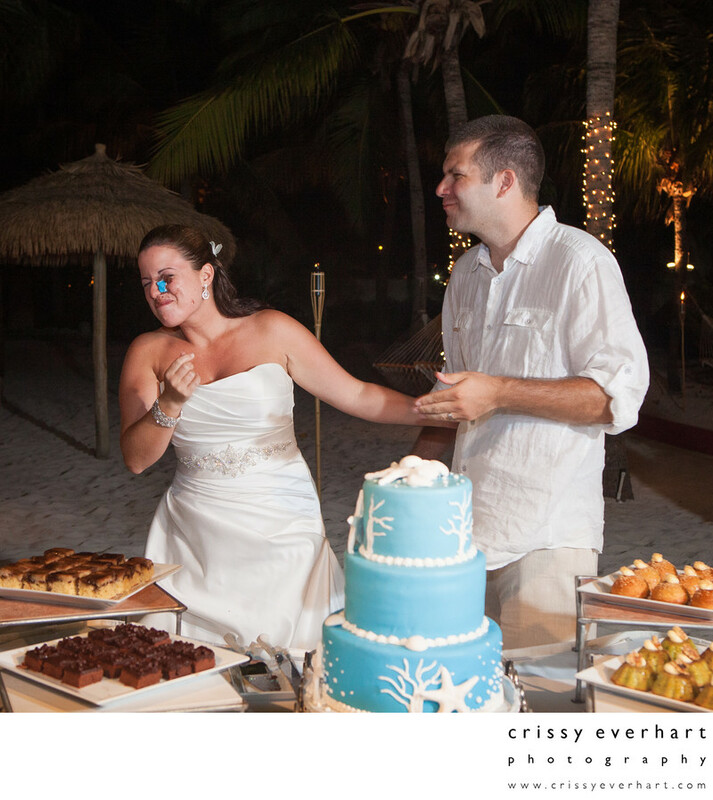 Smashing the cake at a destination wedding in Aruba. The bride has blue icing on her nose and eye, as the groom makes a mischievous face. The blue cake was decorated with starfish and other sea creatures, and there was an assortment of other desserts, too! The reception and ceremony were held on Renaissance Hotel's private island. It was amazing!